FootStake and its accessories make outdoor adventuring and entertainment a breeze. FootStake is truly built to last you for life. Made with automotive-grade materials in the USA. We love getting stuck in the sand. One simple tool: your foot. Just step the FootStake into the ground and snap the table on top. STRONG AND DURABLE FOR A LIFETIME. The FootStake system is your resource for off-road adventures, watercraft storage, and beach-side leisure accessories for the whole year. 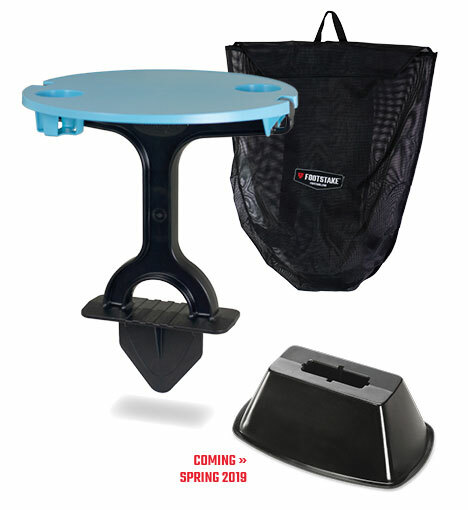 Built with automotive-grade materials right here in the USA, FootStake and the outdoor table will never bend, break, or wear down on your excursions. 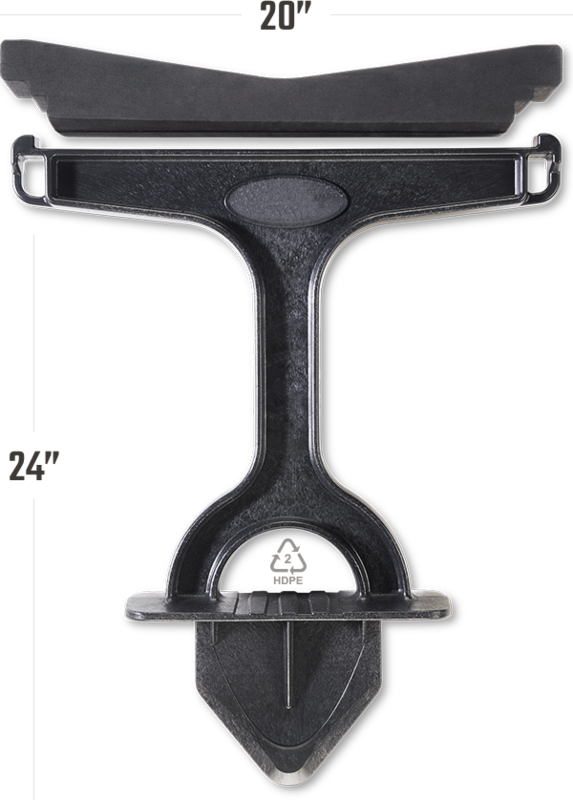 Whether camping, hiking, kayaking, or off-roading in your Jeep®, FootStake and the outdoor table will keep up. Guaranteed. FootStake is easy to use and easy to buy. Get yours today. avid kayakers: FootStake is the trusty tool for you. Store your boat in a safe, dry place to keep it clean, free of mold, and ready to sail at a moment's notice. Protect your most valuable belongings and order your FootStake today. Follow Us to keep up with our latest news, get outdoors & connect with others.